Direct access to Leeav’s control systems. Possibility to connect all types and brands of elevator control systems. The monitored environment is a combination of hardware and software that makes elevator status transparent to the site manager, service – technician, or performance analyst. The system interfaces with almost every elevator controller. 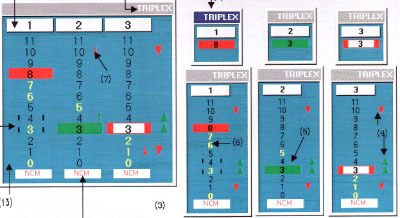 The information is displayed on a screen in a real-time and continuous animated graphic display. The monitored environment is interactive. 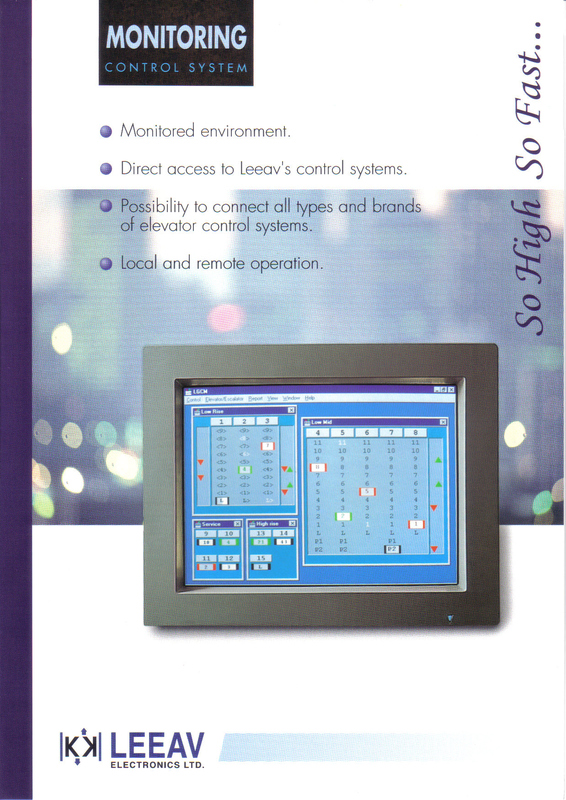 The users can control elevator functions, simulate events, and set status conditions. The monitored environment logs service dates, malfunctions, or other events for any specified period. In the analyzer mode, the logged data can be graphically displayed, providing different views of performance history. The monitored environment gives a real-time access to the insides of the elevator operation system, displays status and provides direct function control. The system is fully integrated with Leeav’s controllers well as other brands. The connection to other brand name controllers is done via the MIL-2000. Operation is available on site, or from a remote location via modem. Several monitoring systems can be connected to the same site and can be placed at different locations (machine room, lobby, control room, etc.). Real time display of elevators (car position, door status, car calls, hall calls, faults/events, input/output, etc) and escalators (directions, status, faults/events, input/output, etc.). The monitoring software supervises an unlimited number of buildings or sites on a single monitor. Failure information (type, location, site, date, elevator name, etc.) is automatically logged in for future analysis. The system recognizes malfunctioning components and alerts before they cause damage. When a critical failure occurs, the system sends notice by fax or modem – to the Remote monitoring site or to the service center. Traffic performance is continuously monitored, logged, and analyzed, detecting and alerting on non-standard traffic patterns or waiting times. Traffic and/or fault reports are graphically displayed in a user – friendly visual presentation. The system is fully integrated with Leeav controller for easy programming of status, timers, and other parameters. Other control system can be controlled trough the MIL-2000 interface unit. The basic connection between the monitor and the controller consists of noise shielded RS-485 serial cable. It can be used for monitors located as far as 500 meters from the physical interface unit. Fiber optic or Repeater cables can be used for longer distance.